Today, the 28th of July, is the 28th anniversary of the day Keith Green was killed in a plane crash at the young age of 28. Keith Green was one of those lights that burned bright and fast. In the brief years that he lived as a follower of Jesus, he wrote some of the best worship music of the 1970s, he influenced greats like Bob Dylan and Rich Mullins, and he inspired thousands of people to head out to the mission field. He also played a mean piano. If you’re 40 or older, you will probably remember Keith as a zealous recording artist who wore his convictions on his sleeve. If you’re younger than 40 you may at least be aware that Keith wrote some of the songs we sing in church, classics like O Lord, You’re Beautiful and Create in Me a Clean Heart. Keith stepped on a few toes when he started holding concerts for free. He then proceeded to jump on those same toes by claiming that Christian musicians who charged for their concerts or Christian bookshops who sold records for profit were sinning. 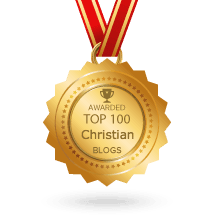 How could you put a price-tag on the gospel? Keith had strong convictions about things and those who didn’t share his convictions were likely to be judged guilty of compromising. Of course Christian young people just loved it! Those who were too young to notice – myself included – got fired up about these things later when reading about Keith in the book No Compromise. We wanted to be as sold out and radical as he was. But what many people don’t know was that Keith’s zeal often led to crushing disappointment with his own perceived failings. He’d promise God that he was going to pray for an hour or read five chapters of the Bible before breakfast and then, when he’d slept in late, he would be devastated at having let God down. Like many zealous Christians, Keith based his relationship with God on his own performance. If he didn’t “feel” right with God then he believed he wasn’t right. This self-centered view sometimes blinded him to the love of God. He once confided to a friend, “Sometimes I’m not sure if God loves me” (No Compromise, p.355). Without compromising his beliefs, Keith became a giver of grace. Relationships were restored and he knew real peace. Having encountered the Father-heart of God, Keith released his final, and most worship-oriented album of all, Songs for the Shepherd. Remember, this was 1982, years before most Christian recording artists started releasing worship albums. ‘Til the work on earth is done. Five short months later Keith was standing in Glory, seeing his Father face-to-face. Me too. Whatever your talent or field of expertise, whatever your ministry or platform, to be recognized by others as a follower of Christ is just about the greatest honor there is. Paul…I might need to do another post on the CCM industry from the Jesus Movement in addition to the one I wrote today. I am going to try to watch the documentary on Larry Norman I just got from Amazon as well. Hard to believe its been 28 years since his death. I remember getting the phone call from a friend that he had died. Remember, back then there was no internet and cellphones and because it was a local plane crash, the news went from Christian to Christian across the country. Hey Steve, I’ll have to borrow that Larry Norman DVD off you next time I’m in HK. I read your post on Daniel Amos and shook my head. Kids today, they have no idea what good music sounds like. Hey, I guess that makes us old! If so, I’d rather be old and actually know a thing or two about music than young and ignorant. I can remember when Stina was about 6 months old. I put on a classic CD, sat her on my knee, and said, “now Sweetie, this is Pink Floyd, and this is what good music sounds like.” Her education continues. We’ve had Keith Green playing in the background for the past two days. We find ourselves singing along to tunes we haven’t heard in a long time. His music may carry the distinctive sound of the 1970s, but I’ll bet people are still listening in 50 years time. ha! I was only thinking of his book “No Compromise” the othe day and how I felt condemned while reading it. Interesting!!!! God used Keith Green in my formative years in the 70’s to speak the cry of my heart, when I first accepted the Lord in ’79 at 17. I wore out all his albums and I still have his cassettes and some CDs. This year I have been walking with the Lord the most I have ever in my life. I put other worship music on but always go back to Keith Green’s music. Some artists come close to his but all of Keith’s songs seem more anointed and bring me to God’s presence. you are obviously on fire for God and have found the secret to living holy, that is following the law without compromise. I would like to hear how you have achieved this. pretty simple…hate yourself compared to your love for Christ [Lk.14:26]. I love him and hate me in comparison. I spend an hour and a half with him and read 10 chapters daily in his Word. A lot of love relationship staying in my 1st love [Rev.2:4] and loving him with my ALL [Mk.12:30]…from there I use a ton of faith and speaking to all mts. to move [Mt.17:20!! I fight and fight and fight the fight of faith [1 Tim.6:12]…then I put my shoes on and go make disciples of all nations.[Mt.28:19]. I have now done over 300 Outreaches in most of the nations of the world so far. We have led just under 1 million to be Born again! Oow! And I stay humble as all credit goes to God! You are right the answer is pretty simple but is not to hate yourself.Read Lev 19;34 / Mark 12;33 / Eph 5;33 I could go on and refer to many other scriptures that refer to this , you refer to Lk 14;26 and misquote the paragraph the instruction is to hate ones life and not ones self, there is a distinct difference between the two, inspired scripture never contradicts its self in essence.. In any event I do not want to upset you. And quote more scripture. All I can say is the only barrier to truth is believing you have all the truth, or condemning without proper investigation. It would be great if you can calm down and without quoting scripture, express why the grace message here offends you. I believe it is the message that has enabled you to do all you have for the Kingdom. No misquote on Lk. 14:26. The Greek says hate your own life or SOUL! And the context is perfectly clear because it tells us to hate our father, mother, wife, children also. And the understanding is easy…we are to love absolutely, totally ourself. But compared to our love and loyalty to Christ we are to hate everyone, including ourself. If you read Mt. 10:34-37 you can understand. And “All I can say” is what Jesus already said, “The truth will set you free.” [Jn.8:32]. Telling the truth in love sets people free! Not some watered down Gay Gospel with a Hippi Jesus! Ha! That will help people to Hell! And as far as you wishes for me to calm down…I must obey God rather than man and he says, “Be burning hot, as the glow of solids and boil of liquids, with ZEAL..” [Rom. 12:11 Greek]. PS I love Grace,,,I was saved by it. But this Godless Grace is sin! This sweet, truth-lees, warped Grace is sin! This Grace for a license to sin [Jude 4] is sin! The fake grace leads millions to Hell. But speaking the truth in love!! LOVE!! LOVE!! Well this sets millions free as I have also witnessed. Hi Dane you say you have been saved by grace and I know you have but everyone else will have to be saved by the truth you preach.You indicate that you have the true grace that saves and mine does not.So if my grace cannot save and yours can i am on my way to hell, and you on the way to heaven. You have the answer to eternal life and can save me so please do your duty as a Disciple answer my original question how does my grace offend you?. Please explain the difference. The misquote in Luke is Hate all competent scholars know this, the correct translation is love less.I was hoping you would correct me correctly but you seem to got essence of it. There is no great revelation in this passage it is what we all know. To put God first. Dane, apart from sprinkling exclamation marks around, what does it mean to be hot and boiling with zeal? I love this. I am so amazed at how honest, open and loving the grace people are in responding to those on the other side. I’ve never seen such a thing in 30 years. Is this the same guy that before he became a Christian, he was into all kinds of different religions or something? 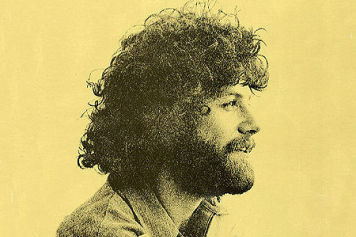 Keith Green’s music was always so Spirit filled! I loved them all! I rejoiced that he went home to be with the Lord, but was so heart broken that such a wonderful talent would no longer be with us on Earth. create a clean heart in me is a great song… however it is not a new covenant song… this was sung at our church today inbetween How Firm A Foundation and What a Friend We Have in Jesus. No wonder Christians are confused!!! from Karin. Wow, this is no 2013 but I just came across this. Grace came into my heart when I stopped resisting it with my false humility, which really is just pride, and just decided to believe that it was all for me. Every bit of it, the appetizer, entree and dessert. Of course it’s for me. why wouldn’t it be? why wouldn’t I be included? Yahoo! And it came, grace, His presence. Thank you Father for Keith Green (Keith died the year I was saved), and Paul Ellis. Father, bless Paul abundantly . . . .who is still blessing us and the world!!! Please, am a Nigerian, and in Nigeria. Keith’s songs are they still available in cds? Are they in the net? The songs for the shepherd affected our early christian days on campus,in the 80s. It helped us develop a heart that longed to win others to Christ and a strong missionary vision. I did not even know all these details about him. His songs are actually born out of the spirit and gave life. You can find plenty of Keith’s song using Google > Video. Yes, I totally think Keith Green found Grace before he died. I was on his journey with him and hung on his every word, and after reading his life story I knew he had found what he was looking for. Paul, I have enjoyed a grace awakening myself over maybe the past 7 years. It has reframed my faith and brought me closer than ever before to God’s heart. I was a roadie for Rez Band a long time ago and had the unique chance to be near by as Keith started his community, newsletter, and music ministry. There was a close relationship between Him and JPUSA in Chicago. I shared some meals with Keith, played Risk (board game) with him in his home, and heard Prodigal Suite before it was recorded. He was a special ,gifted person, gone too soon. God’s grace helps us all see more clearly His tremendous heart of love for us. Thank you for all you do to spread that message. Love it!!! Good to hear!